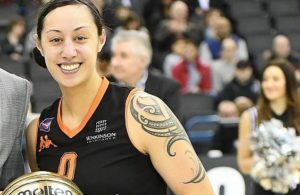 Dee Hayward wants to make the WBBL Playoff final a perfect sign off to the season – and to her career. 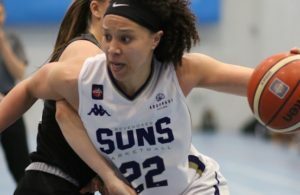 A surprising revelation from the Leicester Riders guard who, at the tender age of 26, has proven she has merely entered her prime by snaring a spot in the Women’s British Basketball League’s team of the season for a squad which only lost out on the title to Sevenoaks Suns on a secondary tie-breaker. The sides will reunite on Sunday afternoon at London’s 02 Arena. Win or lose, and the Aberdonian will depart for pastures new, back to the USA with hoops entering her past. “I’ve done everything I want to do in basketball and it’s given me a hell of a journey but this will be the end of the line for me,” Hayward confirms. “I’m going to pursue a Ph.D. at North Carolina State. 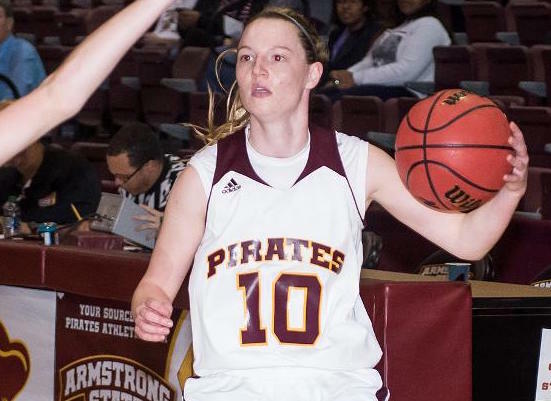 I’ve had a great experience: playing in the States, playing professionally, representing my country. Hayward is part of Generation W, the group of exports to the US collegiate system who returned to find a nascent professional league on their doorstep. An open door rather than playing the lottery of jobs overseas which have been so often shut to Brits wanting to move abroad. There are imports here, Hayward acknowledges, but room to grow. “Bringing in Americans into the league gives the people who have stayed here – and I’ve left and come back – a boost. Younger players coming through the WBBL get a chance to face them. 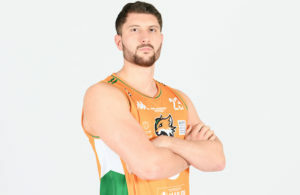 That it will be two Riders teams lining up in east London – with their male counterparts looking for a treble in the BBL Playoff final against the Lions – illustrates synergies in Leicester which are fuelling success, she claims. The model club: own arena, men’s and women’s teams, unity of purpose, the common goal of triumphs. A little internal spark too. “We just want to prove we’re just as good and as much of a force as they are,” Hayward acknowledges. Especially for women’s basketball in general. There is this impression we won’t get crowds or interest but we get promoted at the BBL games and that’s been such a positive step. The reality, however, is that Hayward nearly left last summer. Or, in truth, departed and immediately returned. Announced as a new signing of Caledonia Pride at a time when there was still hope that Scotland’s women would go to the Commonwealth Games, contractual issues meant she stayed put. And then the Gold Coast came and went with the Scots left out in the cold in a cruel numbers game. “That was probably the biggest blow of my career,” says Hayward, who was in a handful of GB squads but, inexplicably, will retire cap-less. “It was a better pill to swallow. Caledonia – set for a major exodus in the off-season due to drastic budget cuts – will, like Leicester, retain her affections from a far. If the Riders are set up to thrive, then she trusts the Pride will not fall away. “You put that in front of young players, and say ‘this is what you can do’. Especially with Bart Sengers in charge. He’s an incredible coach and person. “He actually helped me make the decision to stay at Leicester last summer but I would have loved to have been there because the way he brings in young players and pushes them forward is amazing.